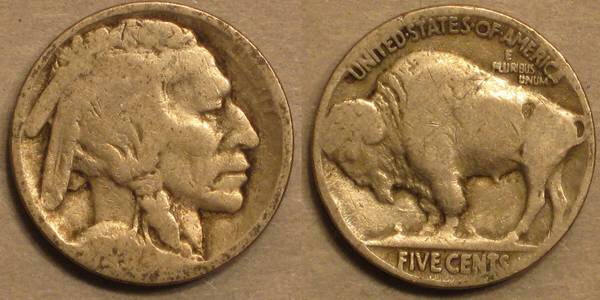 Buffalo Nickels, also known as Indian Head Nickels were officially made from 1913 through 1938. It replaced the Liberty Nickel. The Buffalo Nickel is a very common and widely collected coin. Want to know how much yuor Buffalo Nickel is worth? 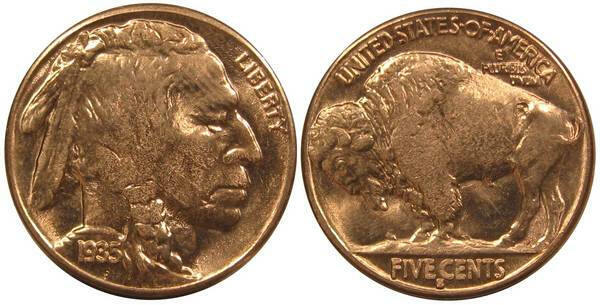 This nickel gets its name from the image of an Indian on the front and/or because of the image of a buffalo on the reverse. It is actually a bison, but is commonly known as a buffalo. Many of these nickels are very worn and carry little premium, especially the ones with the date worn off. Because the date is one of the high points on the coin, it wore off quickly leaving millions of these nickels without a date. Common terms used to describe Buffalo Nickels, are no date, partial date and full date coins. Full date coins are more sought after than partial and no date coins. Still, if you have some, they are certainly worth more than face value. Contact us to help sell your collection. If you have any Buffalo Nickels, let us know and we will make you an offer.